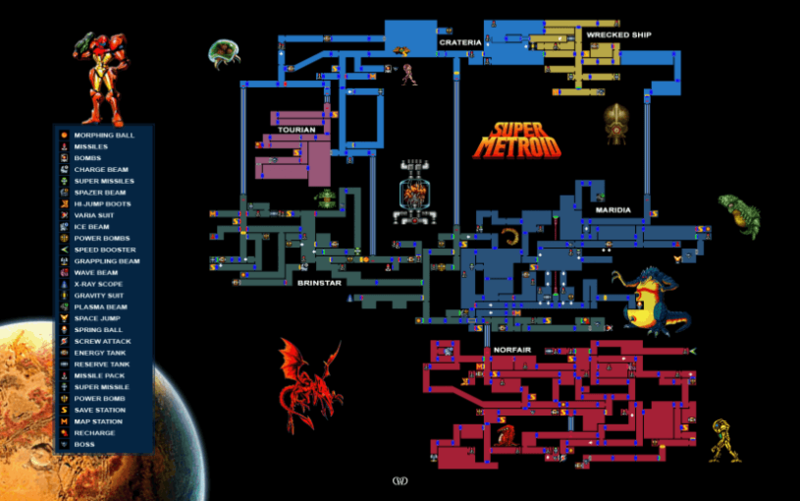 The Metroidvania Metroid-like game genre, from a development perspective, is quite complex to master. World and level design, for examples, are core elements of the game along with player abilities and game physics. You cannot plan one without the other. This is because player abilities, powerups and game physics, are the very elements that allow the Player to progress and advance (or backtrack) throughout the levels. This also means that levels must be designed around the player’s abilities, powerups and game physics (among other things). You might get one step closer in learning how to create such a layout.